As a SF Bay Area wedding officiant, Terry has married 2,000+ couples. The Weddings By the Sea Destination Wedding Ceremony Package can help you save time & money on your wedding. I’ve helped 2,100 couples have a meaningful wedding ceremony in the San Francisco Bay Area or in Half Moon Bay; I’ve been a celebrant for 35 years. My goal is to make sure your wedding ceremony fits your personality so it’s how you want it to be on your special day. Officiant-only services include Half Moon Bay Coastside, San Francisco, Northern California, and the San Francisco Bay Area. 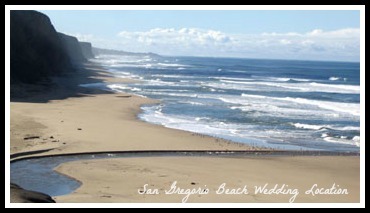 Wedding Packages are offered around Half Moon Bay Coastside and in San Francisco.